The Breeze Lite Anklet Sock from 1000 Mile is made from revolutionary cooling yarns to keep your feet feeling refreshed and comfortable when the temperature rises. The ultra-soft inner liner quickly transfers body heat and the lightweight outer layer is vented to increase breathability keeping your feet cool under pressure. 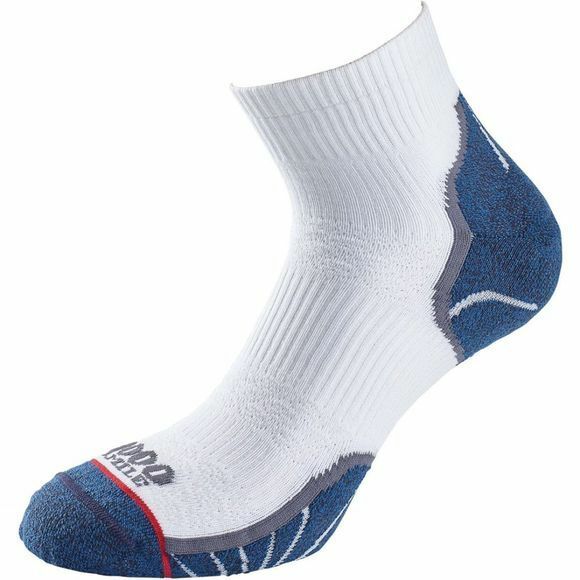 The 100% Nilit Breeze lining is soft to the touch and gives a smooth sensation on the skin–add to that the double layer construction which reduces friction between foot and shoe, reducing wear and helping to prevent blisters this is the ultimate sock for summer sports.